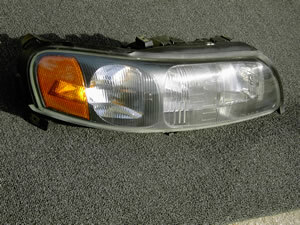 Original Volvo in "like new" condition complete headlight including the lens, reflector and bulbs. See pictures below. For Volvo V70 from 2001 to 2004. $195.00 each.Specify left or right side when ordering. Shipping in the lower 48 United States $20.00 and Canada $25.00.